The SyRI team develops embedded systems that enhance the ability of mobile robots to act autonomously in complex open environments, in some cases in interaction with human operators, and in other cases in mutual interaction with other robots. 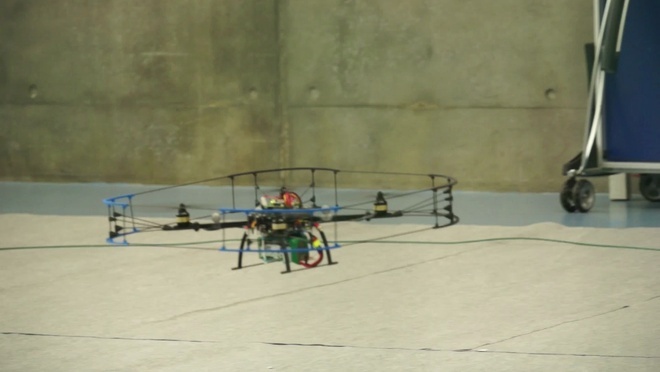 SyRI’s flagship applications are mini-UAVs and autonomous vehicles. Objective: controlling an autonomous system navigating in a complex open environment and finding ways to make the robot more autonomous in the presence of a human operator. This research topic is about developing methods for processing data provided simultaneously by more than one on-board sensor, and creating a representation of the surroundings that can be used by mobile robots for autonomous navigation. Developing methods of perception, navigation and control of multi-robot systems in interaction. This research topic builds on works begun as part of Labex MS2T.